Hello everyone. 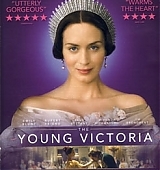 I added a new poster from The Young Victoria. Emily looks lovely in this shot, don’t you think? Remember, the movie comes out in the UK on March 6.